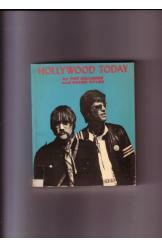 This book is a guide to the contemporary Hollywood scene through some the artists who made significant contributions to the art and/or economic welfare of the film capital. 192 pages and 372 artisits are listed alphabetically from Rodolfo Acosta to Gig Young and an alphabetical index of the films appearing since 1960. Numerous photographs throughout the text.